WE ARE CLOSING LOANS... WHILE SOME LENDERS ARE CLOSING THEIR DOORS. As a Professional Mortgage Advisor, We have the knowledge to help you finance a new home. Select the best loan to suit your needs. Research and present all viable options. Close your loan in the quickest and most efficient way possible. Refer you to a network of professional associates, including home inspectors, appraisers, and attorneys. As a Professional Mortgage Advisor, We have the experience to see you through the home buying process. Quick pre-approvals for confidence when placing offers on homes. Providing guidance to maximize your financial portfolio. Assistance in coordinating inspections, appraisals& contingency dates. 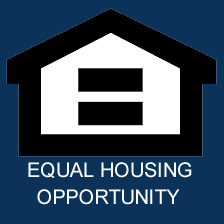 Ensuring adequate qualifying ratios so you get a loan you can afford. You can expect nothing less than impeccable professionalism. As a Professional Mortgage Advisor, We can guarantee you a worry-free transaction. We are professionally trained, knowledgeable and dedicated to bringing you quality service. As a Professional Mortgage Advisor, We are held to the highest standard of conduct. You should expect nothing less than impeccable integrity. That We have an active license in good standing. To put your interests above anyone else’s. To report to you anything useful. To account to you for any money involved. To keep your information confidential. As a Professional Mortgage Advisor, We will stick with it for as long as it takes with patience and perseverance. We have the resolve and determination to see you through to the realization of your financial dreams and goals. As a Professional Mortgage Advisor, We will help you achieve the results you desire. Together, you and we will define your needs and formulate a plan for achieving your financial objectives. We pledge that we will work hard to find you the perfect loan to meet your financial goals, and we won’t quit until the job is to your satisfaction.